Home / Shopping for replacement windows / Trying to Decide Whether to Buy Vinyl Replacement Windows vs. Wood Windows? 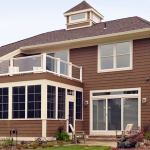 Are you thinking of replacing a few windows, but don’t know whether to choose vinyl or wood windows? Vinyl is simply a better choice when comparing wood replacement windows over vinyl replacement windows in Atlanta. How To Evaluate If You Really Need Vinyl Replacement Windows? Evaluate the functionality of your current windows. If you have condensation between glass panes, the windows are hard to open or close, your energy bills are soaring, or if there are drafts coming in around the window units, then it’s time to seriously consider vinyl replacement windows in Atlanta. Determine how many panes of glass are in your windows. Single-paned windows are the least energy efficient. You can replace them with double- or triple-paned ENERGY STAR compliant windows to enhance energy efficiency and make your home more comfortable during all seasons. Look at the frames of your windows. If they’re made of a product that needs constant maintenance like wood, you’re probably spending a good deal of time scraping paint and repainting every year or so. 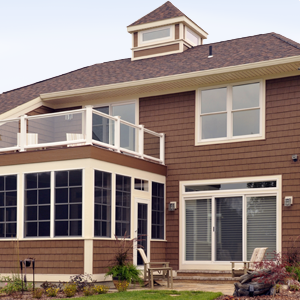 An investment in vinyl-framed windows would be smart since these low-maintenance frames eliminate maintenance hassles.